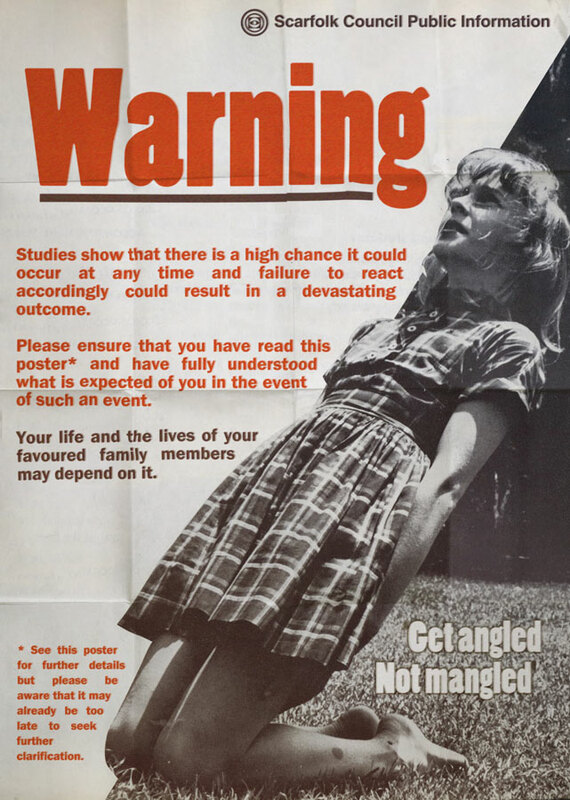 Scarfolk Council did not approve of popular music unless it could be utilised as an indoctrination tool. In fact, most music was banned unless it contained subliminal messages which had been approved by the council's department of social education. 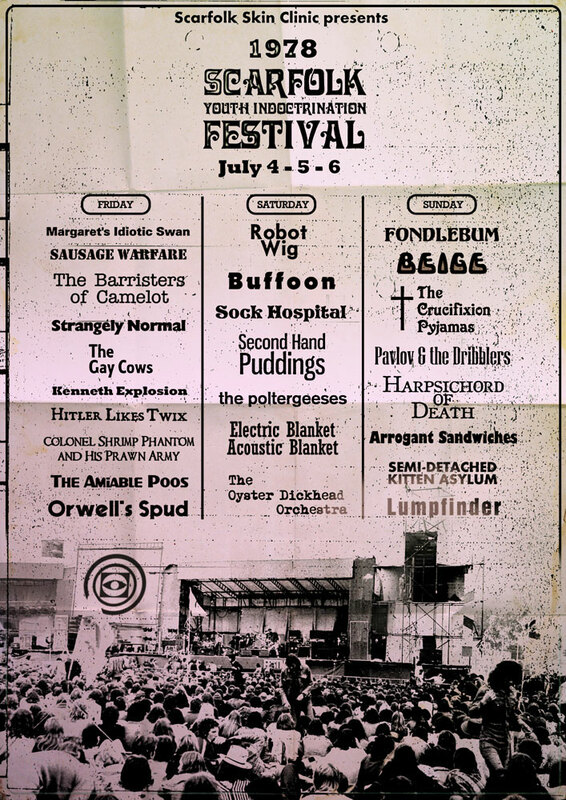 Scarfolk's first music festival in 1973 was only given the go ahead with the stipulation that all bands play songs which contain backmasked content. Additionally, they had to perform the songs backwards so that the subliminal messages could clearly be heard and understood by the audience. Infamously, local prog-group Beige's* performance of their 3-hour epic song-cycle about a school gym teacher with single-personality disorder contained subliminal elements that triggered mass hysteria. Many audience members hallucinated seeing in the sky the shape of satan with a trident, though others argued that it looked more like an intercontinental travel plug. *For more information about Beige go here. By the mid-1970s, the list of officially recognised hazards far outnumbered the list of non-hazardous. In fact, the only situation that the council approved as being completely risk free was the state of being deceased*. Because each of the myriad hazards had its own detailed safety guidelines, citizens became easily confused, and the council was under pressure to create one safety procedure that could be adopted in any given scenario. Experts eventually developed 'kneeling at an angle' which they determined could protect a person from the following dangers: an attack by a rabid animal, falling out of a seventh storey window, a chip pan fire or nuclear attack, being electrocuted by a feral robot, being thrown by a professional wrestler. The slogan 'Get angled. Not mangled' was drummed into school children, who were submitted to regular angle drills. * However, the council did acknowledge that a dead person might be in danger of post-mortem perdition. For this eventuality the council published a separate, non-denominational pamphlet which prepared the reader for an eternity of discomfort in the hell or hell-like place of his or her choice. Advice included taking a change of clothing, doing regular exercise and eating Kiwi fruit. 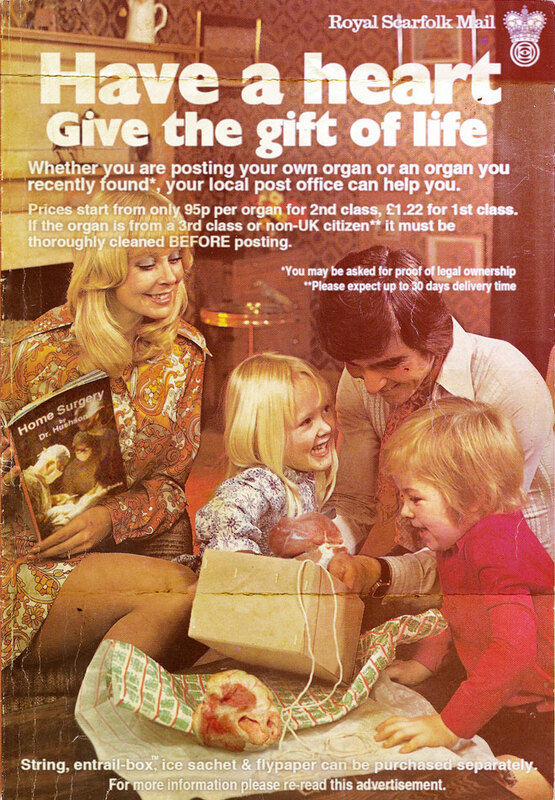 Scarfolk parents thought it was crucial that their children play with educational toys. This was to help familiarise youngsters with the everyday items that would be indispensable to their adult lives: Vacuum cleaners and kitchenware for girls, for example, and for boys the M1941 Johnson Light Machine Gun, or the M4 Sherman Tank with the 75mm M3/40 cannon. 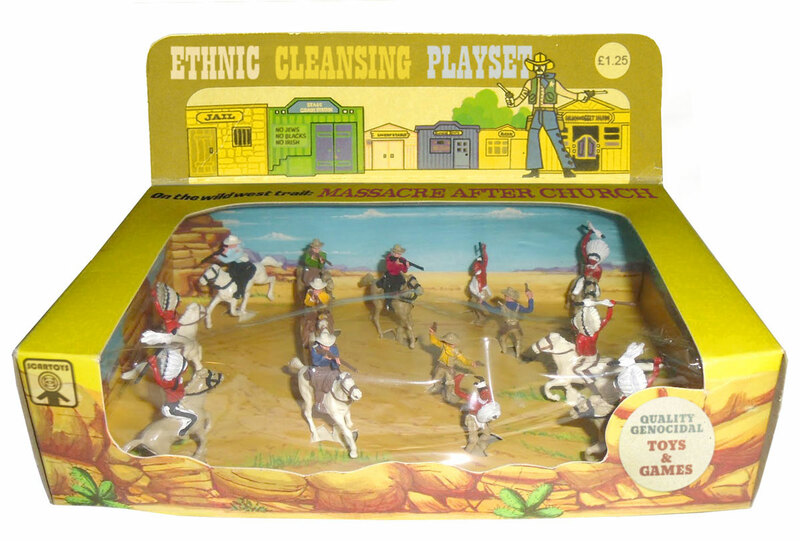 Toys like the 'Ethnic Cleansing Playset' from Scartoys also taught children invaluable life-lesson skills, such as how to defend oneself against marauding foreigners whose homeland you have decimated for either selfish economic gain, or for parochial, sanctimonious, religious reasons. Most importantly, over time, such toys inculcated in the child the belief that though the righteousness of their actions was self-evident, they needn't be mundane; they could also be fun.